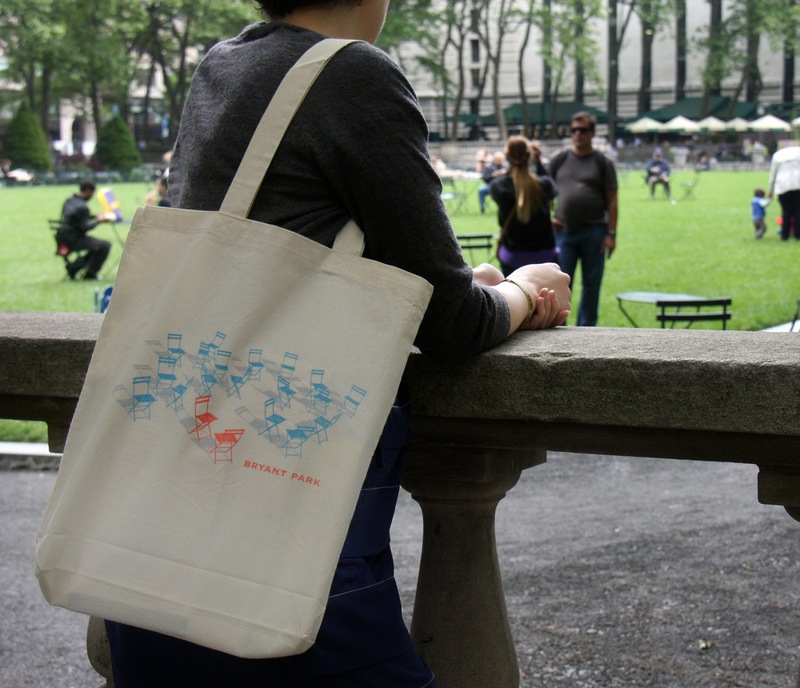 Take Bryant Park wherever you go with the Bryant Park Tote. 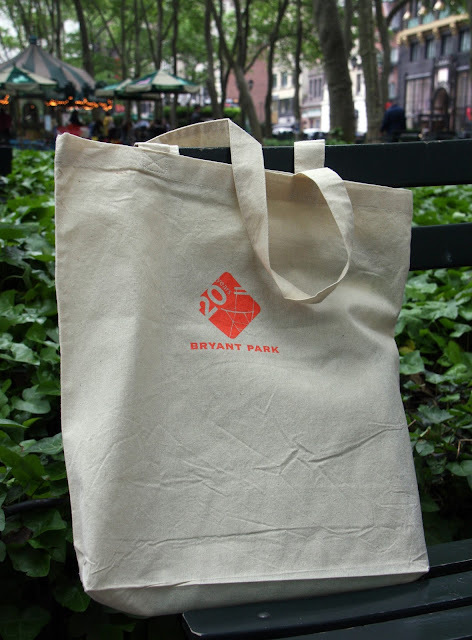 Our attractive and functional cotton bags were designed last year to commemorate Bryant Park Corporation's 20th Anniversary. Now they're on sale for just $7. With this item in the single digits, now's the time to buy! This special price is available through the weekend, so snap one up for yourself and a few more as gifts.